If you are new to fitness or want to be able to start strong when you take the P90X workout challenge, then Power 90 In Home Boot Camp is a great regimen to start with. It’s designed for those at beginner & intermediate fitness levels. With Tony Horton's encouragement you will be burning fat and sculpting your body’s problem areas in just 30 minutes a day. How is the Power 90 Workout different from any other Boot Camp? Power 90 is a 90 days total body transformation program! It’s an amazing fat burning system, based on Tony Horton’s Sectional Progression training technique, where every movement targets a specific zone for maximum burning and toning. What can you expect from Power 90? The system includes: 6 fun and easy cardio and body sculpting workouts following the Sectional Progression technique. • Program Guide: No guesswork! Just follow Tony’s schedule in the fitness and nutrition guide from day to day. • 90-day calendar: Track your progress and stay motivated! • FREE online access to diet and fitness tips. • Fat Burning Express DVD: Get ready to jump-start your metabolism and burn fat and calories even faster in just 35 minutes. 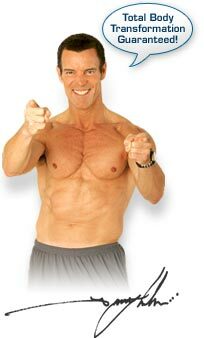 • Fat Burner Meal Plan: Tony Horton's easy to follow Step by Step eating plan. All you have to do is choose your meals and enjoy! • 6-Day Fat Burning Express Plan: This Express weight loss plan consists of six disciplined days of clean eating in combination with the Power 90 Fat Burning Express Cardio Workout. This plan will help you lose up to 10 lbs and 10 inches in just 6 days. • Success measurement card and tape measure: Stay motivated so as to absolutely achieve your goals! • And a Power Sculpting Band Free! The included B-Line resistance band is all you need to get dramatic results in you muscles. What supplements should you use to maximize your Power 90 Workout Fitness Results? If you're intent on maximizing your results with Power 90 than you should look into ensuring that your nutrition is top notch and that your body is getting all the required nutrients and minerals that it needs. Why do anything by half measure when you can achieve amazing results quicker and in a healthier way with these supplements? Treat your body right! Whether it's our Slimming Formula, Joint Support, Activit Multivitamin, or P90X Recovery Drink, we have what you need to succeed!